In a very large pan, heat the olive oil and saute the garlic over medium heat for about 1 minute, but not until it's browned. Add the spinach, toss it with the garlic and oil. Cover the pot, and cook for 2 minutes. Uncover the pot, turn the heat on high, and cook the spinach for another minute, stirring with a wooden spoon, until all the spinach is wilted. 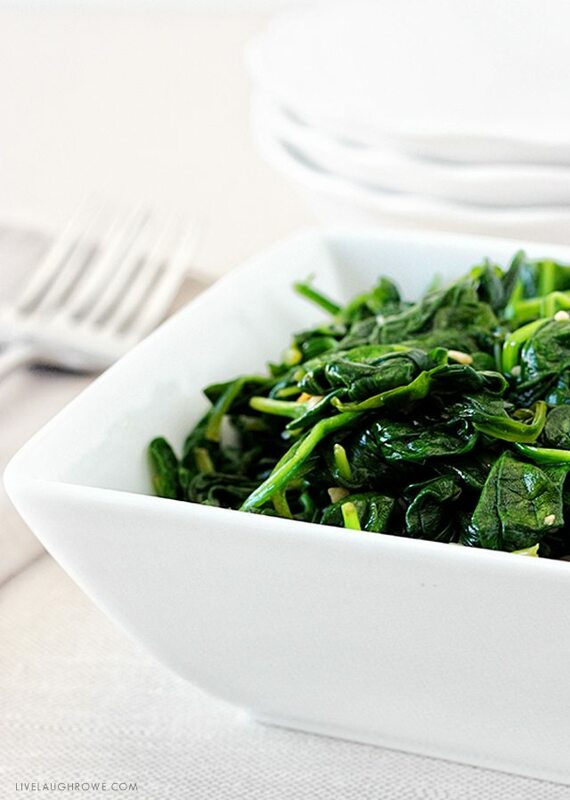 Using a slotted spoon, lift the spinach to a serving bowl. Add a splash of lemon juice, optional. Serve hot. Season with salt and pepper, to taste.